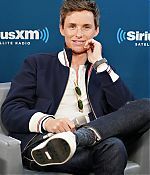 “Fantastic Beasts” actor Eddie Redmayne is in early talks to star in Amblin Entertainment’s “The Trial of the Chicago 7,” sources tell Variety. Aaron Sorkin is writing and directing, and Sacha Baron Cohen is also in talks to join. Marc Platt is producing the pic. The film is based on the infamous 1969 trial of seven defendants charged by the federal government with conspiracy and more, arising from the countercultural protests in Chicago at the 1968 Democratic National Convention. The trial transfixed the nation and sparked a conversation about mayhem intended to undermine the U.S. government. Redmayne will play Tom Hayden, the co-founder of the Students for a Democratic Society, who was best known for his role as an anti-war, civil rights, and radical intellectual activist in the 1960s, authoring the Port Huron Statement and eventually standing trial in the Chicago Seven case. An A-list ensemble had always been a goal for the movie, with talent like Will Smith being considered during the time of the project’s first brush with development. This time around, Sorkin is also looking for big talent. “Fantastic Beasts: The Crimes of Grindelwald” bows on Nov. 16. 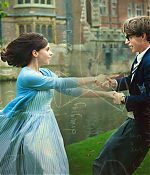 Redmayne recently filmed the Amazon Studios movie “The Aeronauts,” which reteams him with his “Theory of Everything” co-star Felicity Jones. 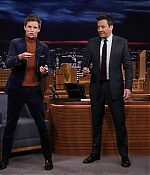 He is repped by CAA, United Agents, and Jackoway Tyerman Wertheimer Austen Mandelbaum Morris & Klein. 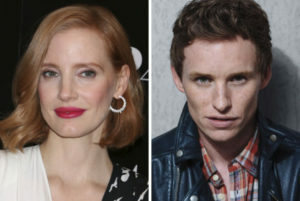 Jessica Chastain and Eddie Redmayne are in advanced negotiations to star in The Good Nurse, a thriller based on the book by Charles Graeber and scripted by Krysty Wilson-Cairns. Tobias Lindholm is set to make his English-language feature directing debut. BRON Studios, run by Aaron L. Gilbert, has come aboard to finance and will release through Lionsgate. Darren Aronofsky’s Protozoa is producing as well.